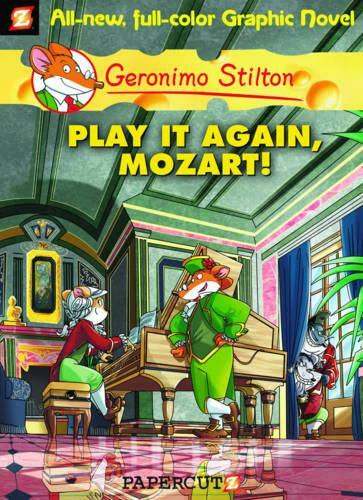 Geronimo Stilton travels back in time to help the young Wolfgang Amadeus Mozart, who is the target of the Pirate Cats' latest nefarious plan! The fiendish felines are in 18th Century Italy to steal musical scores by Mozart before he can perform at a historic concert. Will Geronimo and friends stop them in time? Or will the Pirate Cats change history forever?